I was actually very surprised by the twist of the movie. It really is about Jane, rather than Stephen. A very deep and emotional discovery of their relationship, and the constant struggle. She signed for a 2 years trip, and the trip lasted so much longer. They present the duality of her feelings in a stunningly well played manner. On one side, she loves him and is incredibly happy that his life goes on. On the other side, she is consumed by needs and dreams she cannot live with Stephen, and the caring for him is draining. Jonathan, Stephen, Jane, they were all very well played. Great acting! 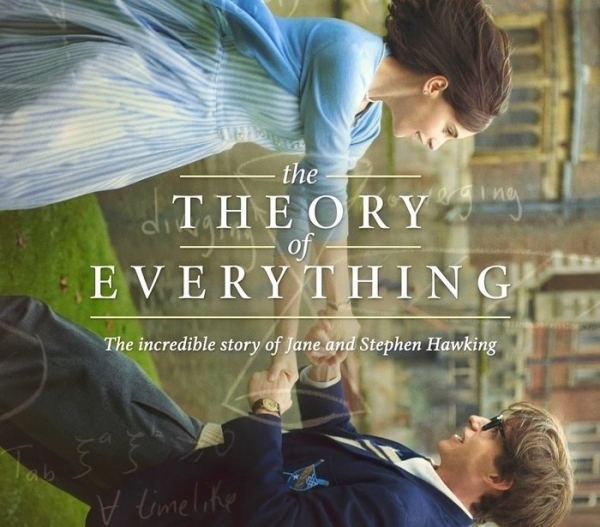 It really was not the sort of movie I expected to see when sitting down for a movie about Hawking, especially with the name “The Theory of Everything”, but that is simply because I had not read the synopsis, and assumed it was like “Hawking”. 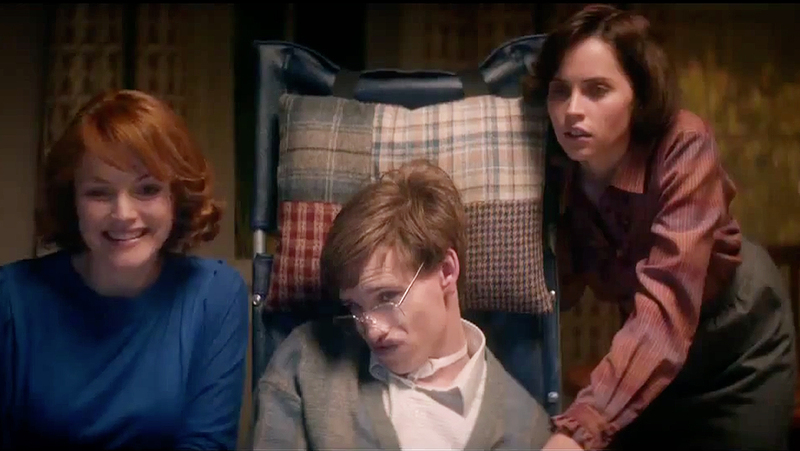 Eddie Redmayne and Felicity Jones are both amazing in this movie as Hawking and his wife. Their performances alone make this movie a must see. I personally wasn’t even remotely aware of most of the history told here and it was great learning about their troubled lives and how they both worked together to realize his dreams despite his debilitating disease. Excellent acting by the two leads elevates a good story to something even better. Very informative and eye opening biopic. Redmayne truly deserved his Best Oscar win last year for this amazing and challenging role. 1. Absolutely superb acting, the two leads were amazing. 2. The film really captured the helplessness of a disease like this, and it hit a little too close to home for me in some parts. Even though my illness isn’t nearly as bad as Hawking’s, it’s still debilitating, and so it touched me greatly. 3. The film also captures very well the torment of loving two people at the same time. Easy, it’s not. 4. I was really hoping for more science in the film, and a little less drama. Was slightly disappointing on that end. 6. They captured Hawking’s wit wonderfully. 7. I can’t imagine being that smart, and being stuck inside your body like that. It must be absolutely horrible. 8. Hawking is such an inspiration to me. This film just cemented it even more. I mean if he can, in his state, become a world famous bestselling author, not to mention everything else he is, then I can certainly do something with my life! 9. Jane was an absolutely wonderful human being, sacrificing so much of herself to support and care for her husband. Not many people are so generous. 10. In the end, it was quite a lovely film, but I have to admit to like Hawking, starring Benedict Cumberbatch, better. Its focus was more on the science, and I enjoyed it immensely. 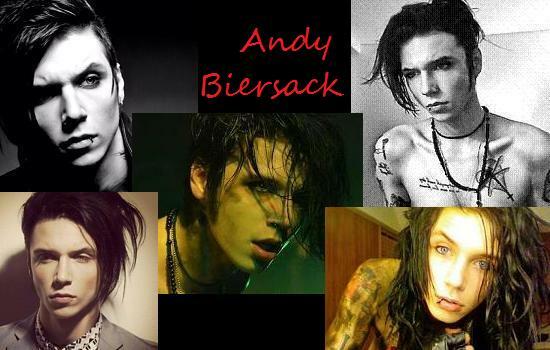 Andy Biersack is the lead singer for the rock group Black Veil Brides. 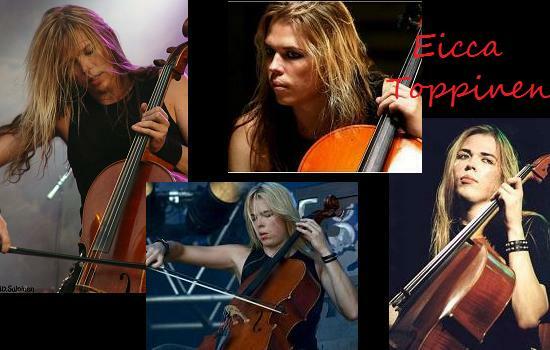 I don’t like all their music, but it’s mostly pretty good, and the band is talented. Andy’s vocals are quite amazing, surprisingly deep for someone that looks so… girly :-p If I were putting this list in order, Andy would be very near the top, maybe even number one. Let’s just pretend, for skeezyness’ sake, that he’s not only 21 years old, ok…? Dorian Gray. That’s really all I need to say here. A quite liberal take on the book, I nevertheless enjoyed the movie quite a bit. 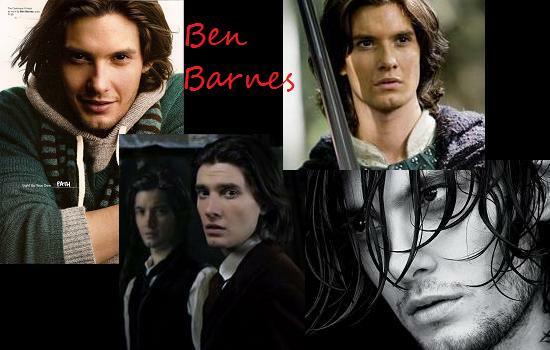 I’m sure seeing almost all of Ben’s skin had nothing to do with that… He’s got such a baby face that I was surprised (and rather relieved) that he’s the same age as me! 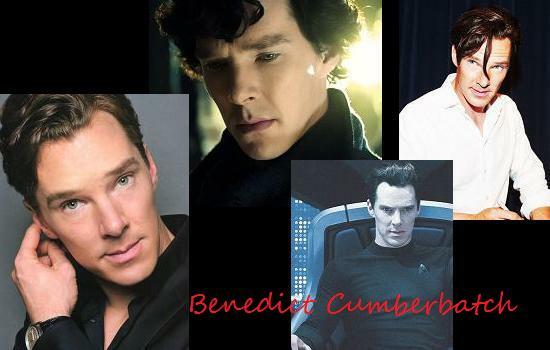 Before Star Trek 2, I’d never heard of Benedict. My friends have been singing the praises of Sherlock since it came out, but I’d never gotten around to watching it until recently. Before I saw him on the big screen, I’d only seen pictures, and was unimpressed. I thought he was just weird looking, like a strange elf. And then I saw him in action on-screen. And oh. My. God. I had to take back every single thing I said about him. I was so smitten that the very next day after seeing ST2, I hooked myself up to Netflix and watched Sherlock. Watching him in action as the famous sleuth literally takes my breath away. And that voice… mm. 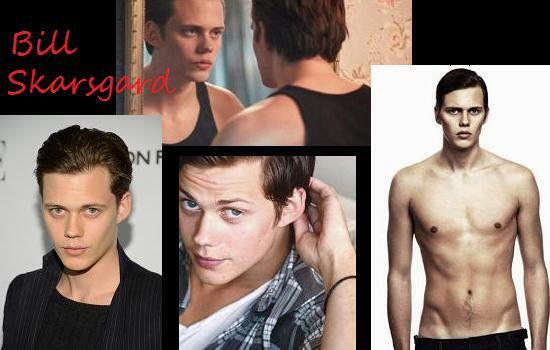 Before Hemlock Grove, I didn’t even know Alexander had a brother (let alone the 3 other siblings he’s got besides Bill! 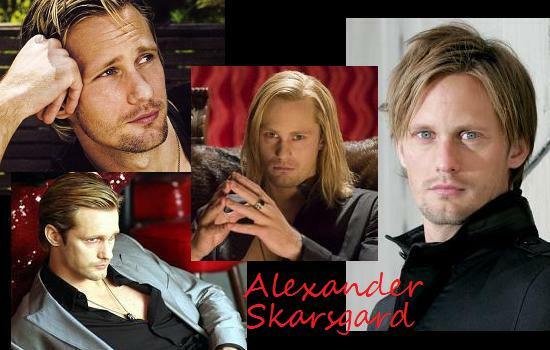 ), but after watching the show I have to ask myself, what the heck is in the water in Sweden?? I mean really. 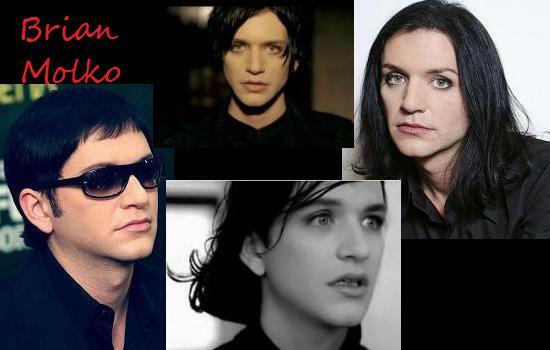 Lead singer for the alternative band Placebo, I’ve been in love with Brian Molko (and Placebo) since I graduated high school. He’s got such a unique voice, makes such amazing, powerful, meaningful music that it’s literally impossible to not love him. 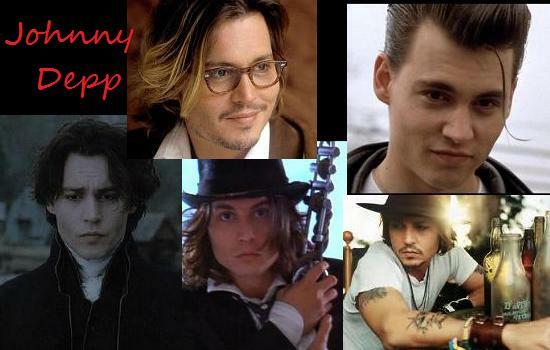 He’s 40 now, but he still looks freaking fabulous! 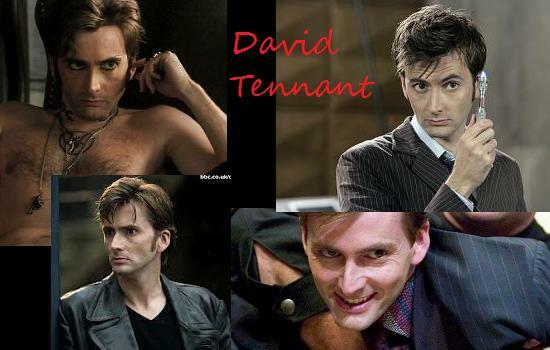 I’m sure any girl my age would agree with me, David was the ultimate heartthrob of the 90’s. I was in high school when Buffy the Vampire Slayer first aired, and, like every other teenaged girl with eyes, I was immediately smitten with the vampiric Angel. 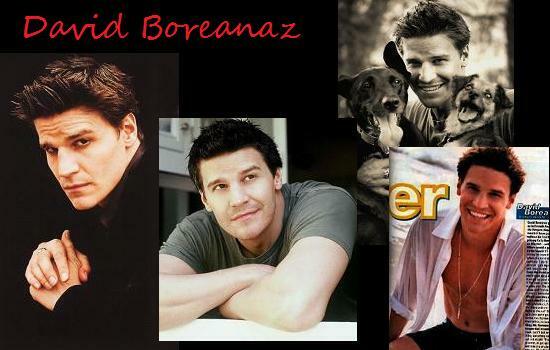 He plays in Bones now, which is in it’s 9th season, and he hasn’t lost any of his appeal. His few forays onto the big screen went mostly unnoticed (for good reason), but that’s ok. He doesn’t need to be in films to be awesome. TV is a good place to be. Ah, Doctor. My beautiful, lonely, messed-up Doctor. I’ve only recently discovered Doctor Who, but I’m so very glad I did. David could look good sitting in a burlap sack while reading a phone book. Thankfully though, his roles make him look much better than that. 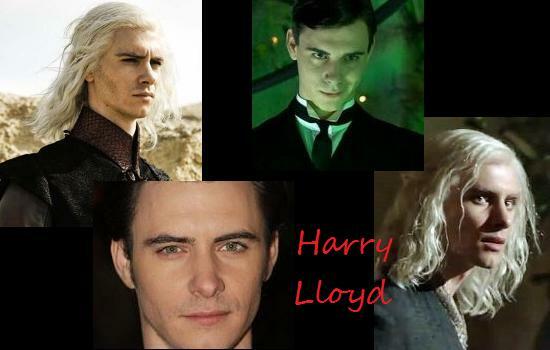 I’m going to say, in the looks department, it’ll be a tie between Doctor Who and Fright Night. If only for the shirtless, leather-pants-clad scene alone. 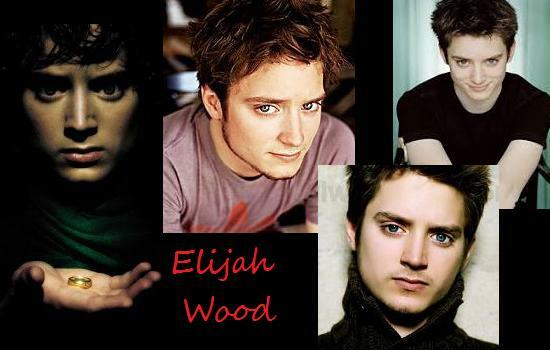 I’ve loved Elijah since I was a kid. We’re almost the exact same age (he’s 7 months older) so we kinda grew up together. 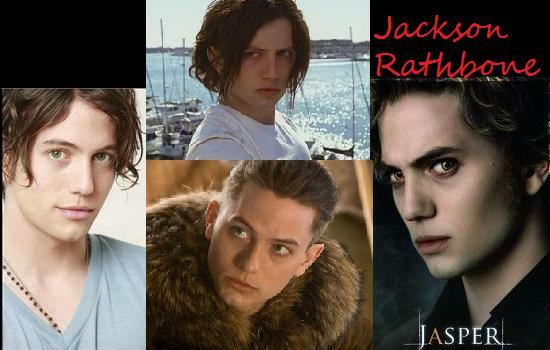 He was a cute kid, then he went through this horrible gawky stage in his teens, but thankfully he grew out of it, and now he’s gorgeous. He’s got the goofiest smile, I think it’s perfectly charming. And those eyes, my goodness. You could fall right into those pools. 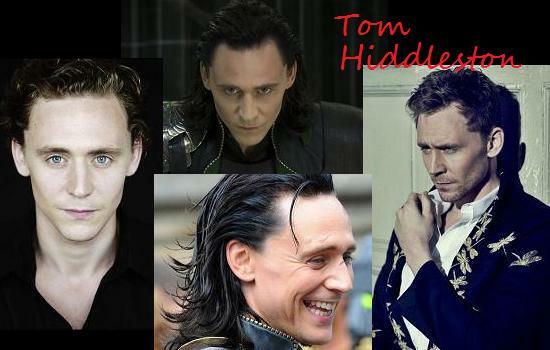 He’s a wonderful actor, too, which makes him even better! While he’s gotten too “manly” for me, the first film I saw him in floored me. 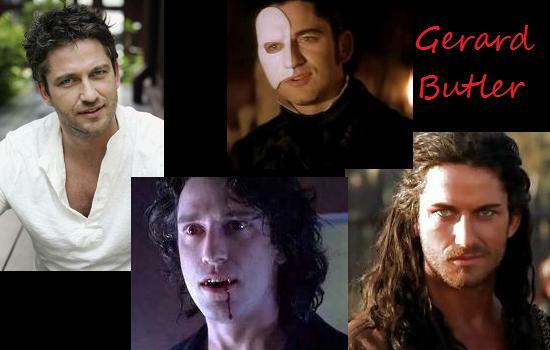 His role as Dracula in Dracula 2000 was absolutely perfect. It’s still one of my favourite Dracula performances. Taken as what it’s meant to be, Dracula 2000 is awesome. This man seemingly has it all; looks, acting talent, and a hell of a set of pipes. I don’t know where he thinks he gets off being so talented, I mean really, save some for the rest of us! 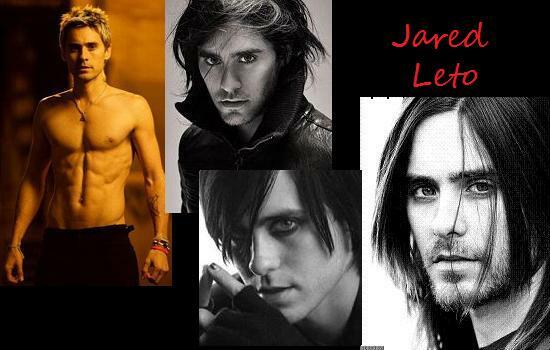 I’ve seen his band, 30 Seconds to Mars, live twice. And last time I even waited around after the show so I could get his autograph. I’ve never done that before. He’s the first celebrity that I’ve ever touched (our fingers brushed while I took my CD back, ooh :-p ), and while I’m sure it didn’t do anything life-altering to me, it was cool to meet him nonetheless, hehe. 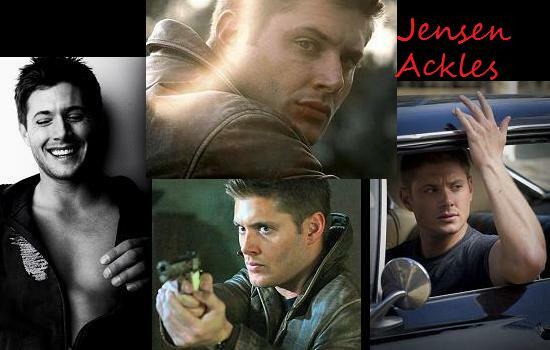 Dean Winchester. Really, do I have to say anything more than that?? You have no idea how happy it makes me that a man this beautiful loves to do horror. It’s just a shame that, despite his looks and talent, he can’t seem to find a good film role. That’s ok, as long as he keeps doing Supernatural, it’s all good. Jon Snow. That is all. 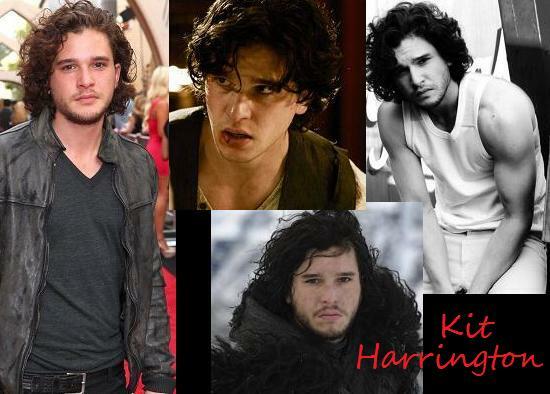 I haven’t seen Kit in anything but Game of Thrones, but with the talent and looks he’s got, I’m sure we’ll be seeing him pop up more in time. 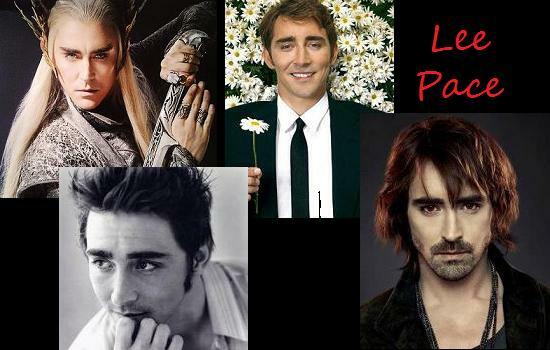 While Lee Pace looks good no matter what he’s doing, He was jaw-droppingly gorgeous (for all of 2 seconds) in The Hobbit. I was so happy to see that he was in this movie, and after spending the whole movie waiting to see him again, I was quite upset it never happened. Thank goodness there’s two other Hobbit films to come! I certainly hope I’ll get to see the second before it leaves cinemas! 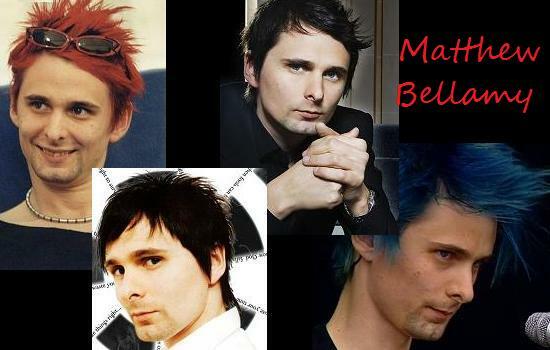 Matthew (of the ever-changing hair) is the lead singer for alternative rock band Muse, one of my very favourite bands. I *finally* got to see them live this year (last time they came round I found out on the day of. I was not amused), and it was fan-bloody-tastic. If I believed in angels, I’d say his voice was a gift straight from the angels. As it is, I’ll just say his voice is amazing. And he sounds just as good live as he does on the CD. You’d be surprised (or not) at how many singers don’t. 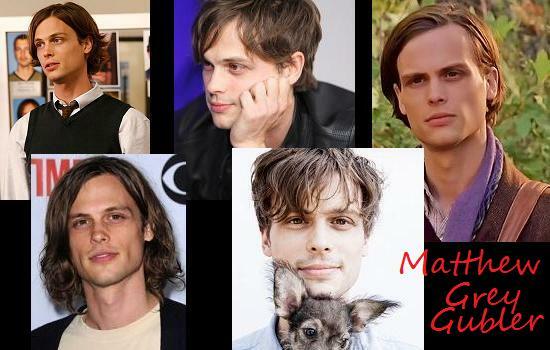 I’ve just recently started watching Criminal Minds, and boy am I glad I did (and not only because of Matthew). It’s such a great show, awesome stories, solid acting all the way around, just generally a great show. Not a very realistic view of FBI procedures I’m sure, but really now, what show is? I’m at season 7 now, at the beginning, I’ve only watched the first episode. Matthew’s character, Dr Spencer Reid, is one of the best characters in the show. He’s a gorgeous geek, and a complete genius. I’ve only seen him in one film (How to be a Serial Killer), but it was pretty good, if a little weird. I don’t actually know what else he’s been in. I should probably check it out… And, yes, I just realized I spelled his name wrong in my picture, but I’m too lazy to change it. So there. Castiel. Nuff said. 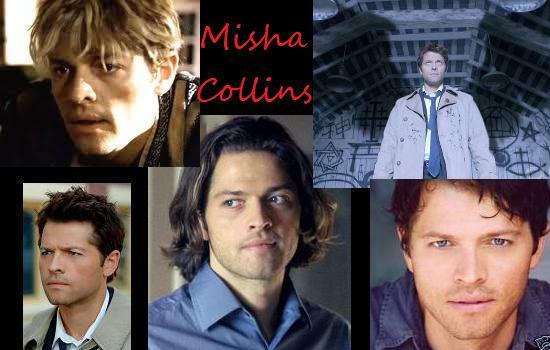 Oddly enough, when Castiel first showed himself in season 4 of Supernatural, I wasn’t all that impressed. He was good looking, yes, but nothing special. But through his interaction with Dean Winchester, and the force of his personality, he got more beautiful by the second. I’m so upset at the direction that Supernatural writers took the character, especially in season 7. He just doesn’t feel like the same person any more. I know character development is important in a show, but really, did he have to “develop” that far?? 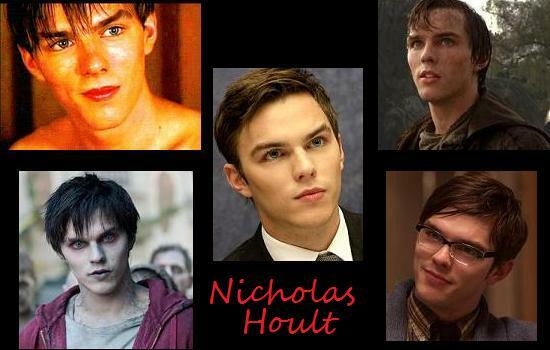 My favourite Nicholas Hoult film is definitely Warm Bodies, but I can’t really say that’s the film he looks the best in. The goth/emo look is fine. Dead? Not so much. But he was absolutely breathtaking in A Single Man. And not because he was naked a whole lot near the end. Ok, not just because… :-p But holy crap, what a downer that film was, especially the ending. I was so emotionally wrung out after that, I needed to watch a cartoon afterwards, hehe. 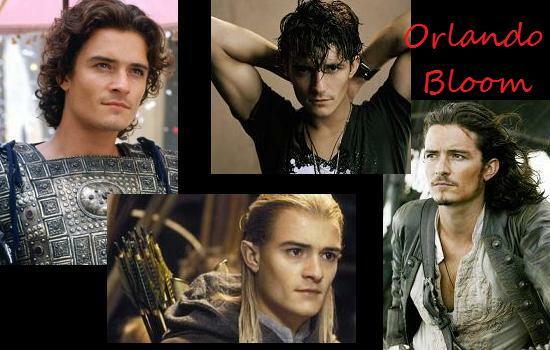 I first saw Orlando in Lord of the Rings and he literally took my breath away. Not the best of actors, but when you look like he does, I suppose it doesn’t matter too much. 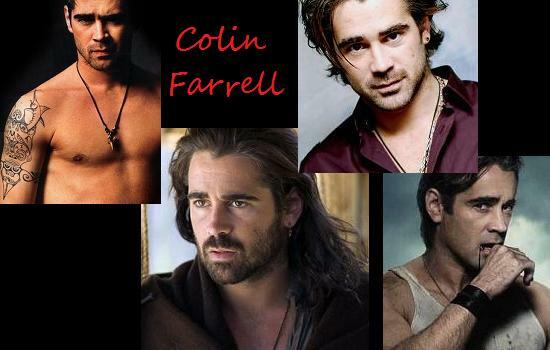 To choose whether he looked better in Lord of the Rings or Pirates of the Caribbean, though, that’s impossible. So I call a tie. Looking forward to seeing him in The Desolation of Smaug, even though, from what I saw in the trailers, his face seems to be very CGI’d. Did he age that badly in just over 10 years..? 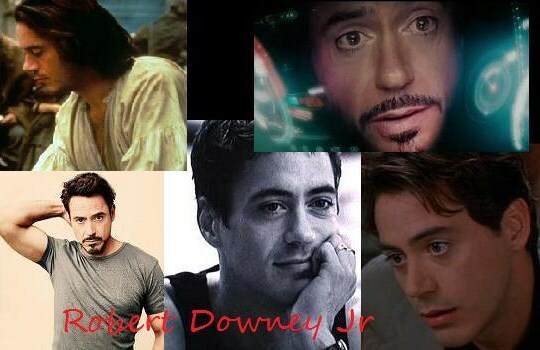 I’ve loved Robert Downey Jr since I was a kid. 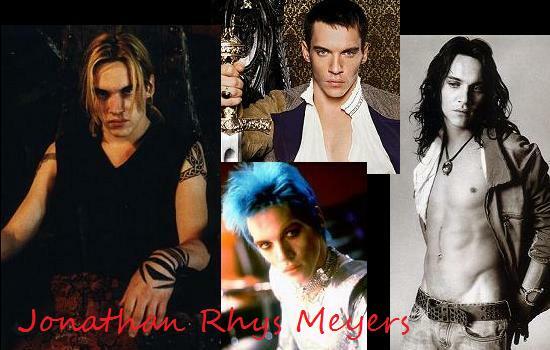 He’s so talented, I just can’t believe he still doesn’t have an Oscar. He was nominated twice, but never won. What a shame. But like a fine wine, Robert seems to get better with age. He’s always been good looking, but he was positively gorgeous as Tony Stark. And he still makes my heart flutter in Only You, one of my all-time favourite chick flicks. Strangely enough, when I first saw Thor, I can’t say that I really noticed Tom. I’m not sure why, maybe I wasn’t paying enough attention. But then The Avengers came out, and my jaw literally hit the floor. That scene where Loki’s at the party, coming down the stairs, in that suit? The man couldn’t have looked more perfect than if he’d walked straight out of my dreams.